There's a kid at school who gets extra help from a special teacher. He has temper tantrums when he is angry and sometimes finds it hard to pay attention. He might even have been to a special school to learn how to behave appropriately in class. One day this kid started to ask questions like, â€œWhy do I feel different â€“ am I not like other kids?â€ This kid might be a little different from others in some ways ... but this kid is NOT STUPID! Can you solve the mystery of the special kid? This book offers a fun and accessible introduction for a child diagnosed with Asperger Syndrome (AS). Intended as a support tool in the initial period after diagnosis, A Special Book About Me is varied and engaging, and addresses questions or concerns that the child might have, such as 'What are the characteristics of AS? ', 'Why did it happen to me? ', and 'What happens now?'. Also included are poems, stories, illustrations and activities to help them come to terms with and move forward from a diagnosis of AS. 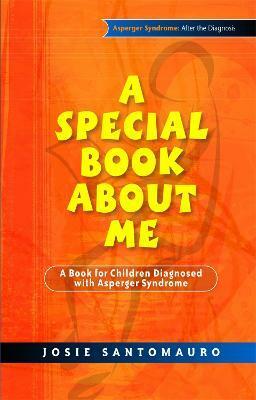 A Special Book About Me will be essential reading for children in the initial period after a diagnosis of AS.